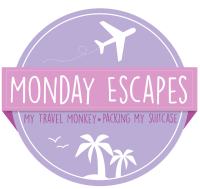 When I saw that this month’s Travel Linkup theme was LOVE, my mind starting whirring straight away with thought of hearts, flowers, the colour red and romance. And then suddenly, I got it! 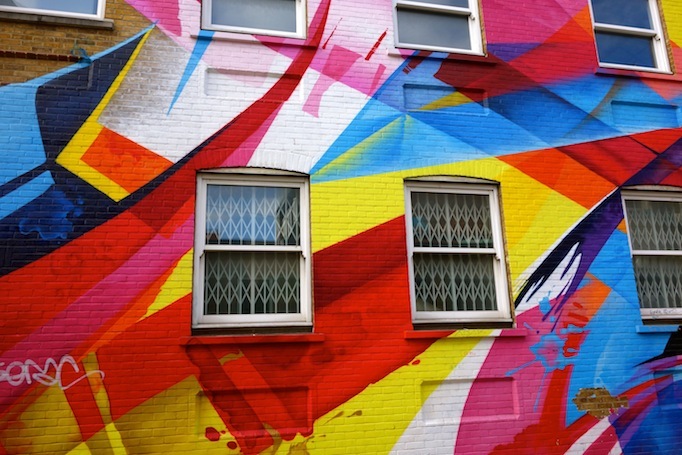 One of the things that really makes me love a city is colour! Colour is happy, colour is bright and colour is always, always interesting. 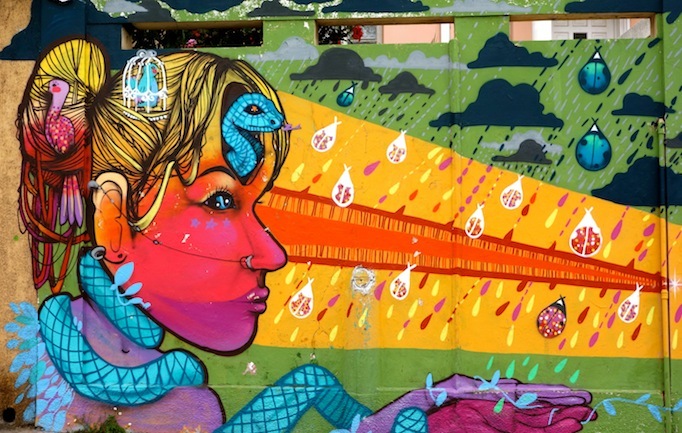 Colour might come from the houses, the colour of the sea, from street art or from people’s clothes. So, for today’s theme, I thought I would gather words and photographs about cities that I fell in love with because of the colour! Where better to start than a city that I live very close to. 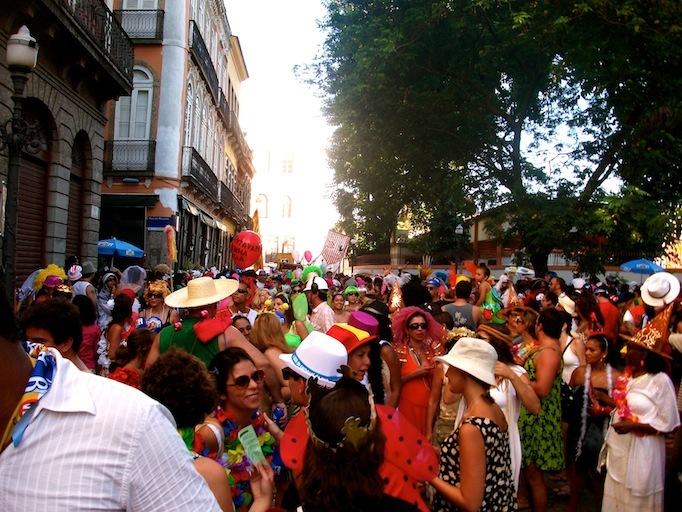 This is a city which I’ve mentioned so many times on the blog, because it’s amazing! 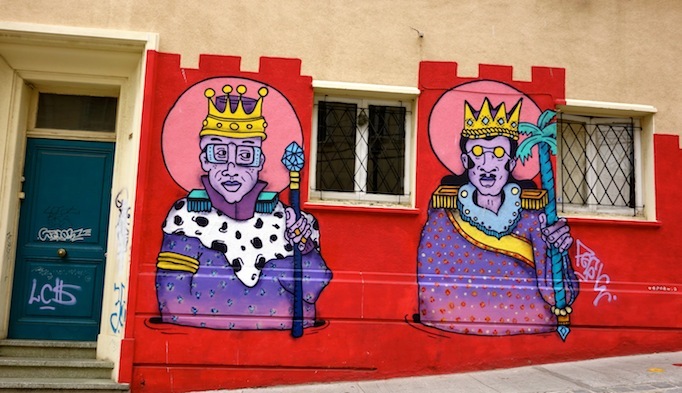 The colour in Valparaíso mainly comes in the form of beautiful street art, in fact the streets are lined with art and colour is to be seen in every direction! 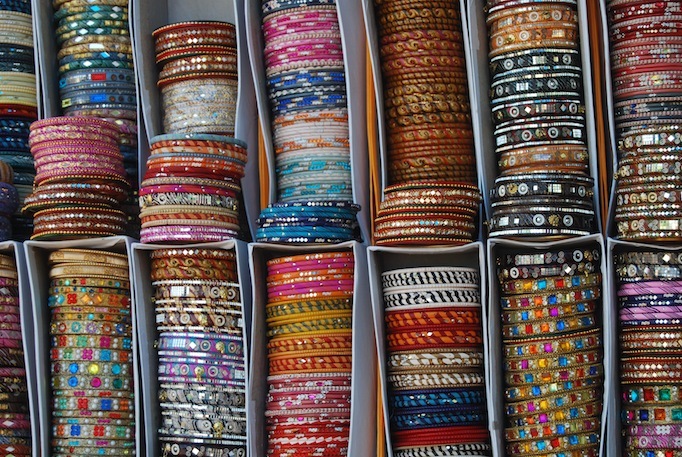 India screams colour to me from the brightly coloured clothes, to the glittering bracelets to prayer flags. 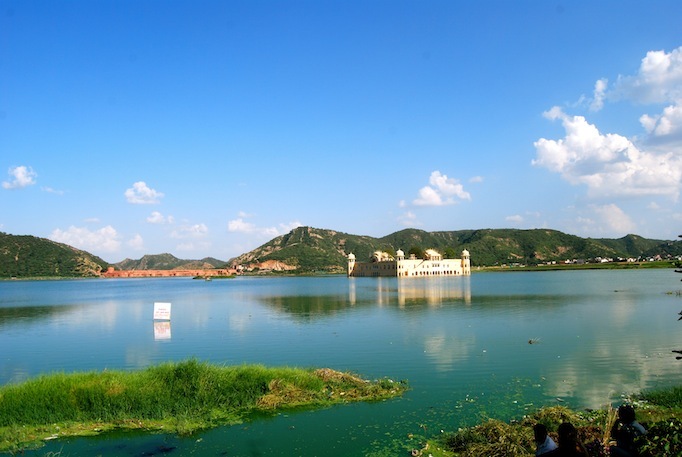 But for me, the city that I think of most when I think of colour is that of Jaipur. 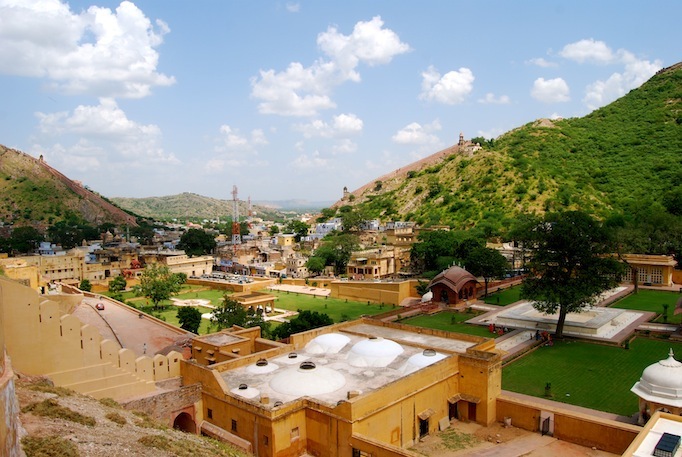 Jaipur is known as The Pink City as it was painted pink many years ago to celebrate the arrival of King Edward and Queen Victoria, so much of the city still remained pink. I don’t think of pink when I think of Jaipur, but I think of bright and fresh colours. 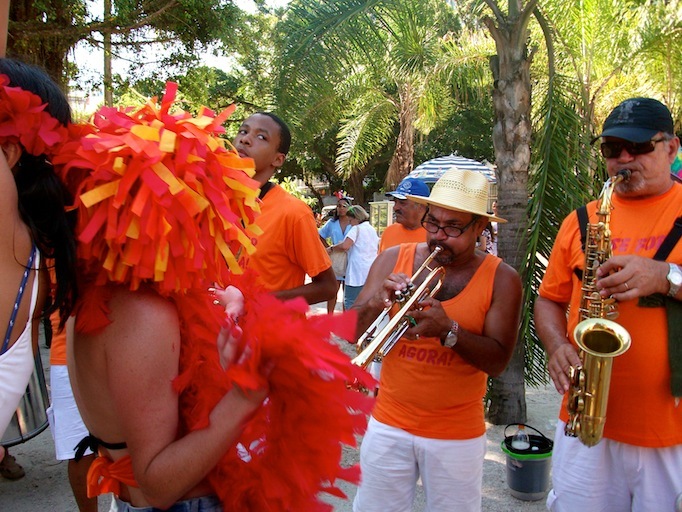 When I think of my time in Rio back in 2010, I think of colour. 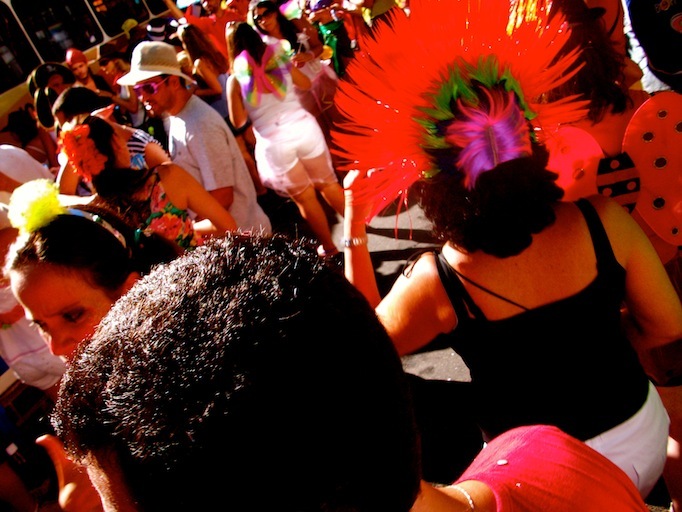 I was lucky enough to be in Rio during carnival so the streets are awash with colour. 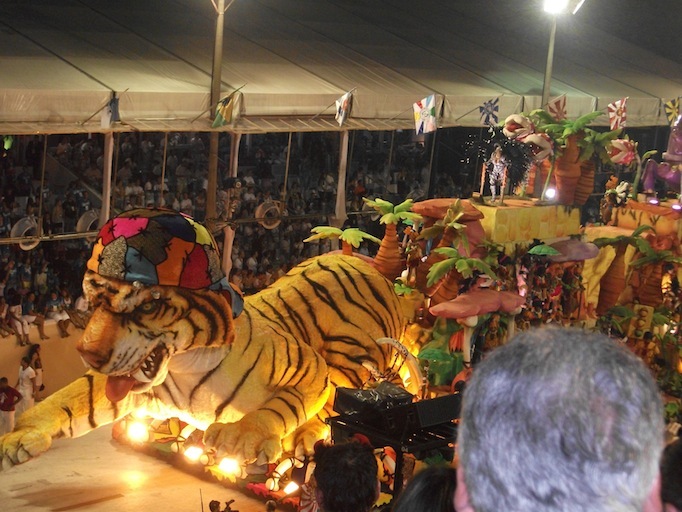 Costumes are made in every colour you can imagine, streets are decorated and painted with colour, flags of all colours fly in the air and of course, the samba shows parade the most colours you can imagine. 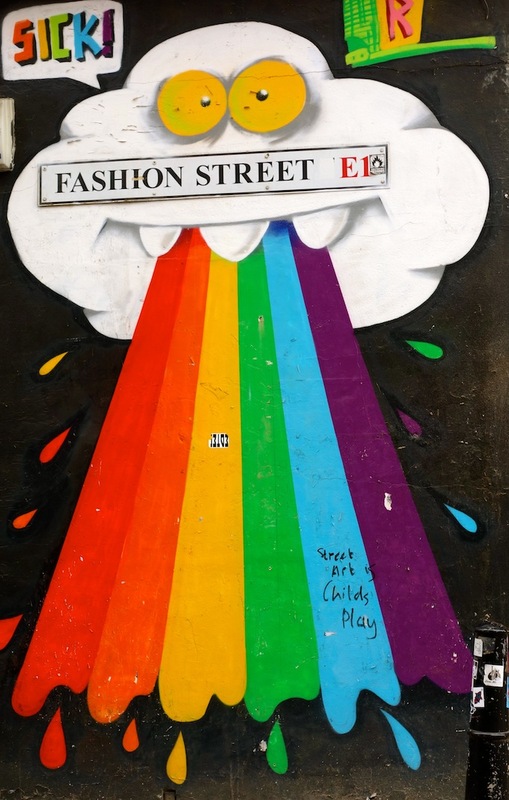 Shoreditch is my favourite place to spend a Sunday in London, and is definitely one of the places I miss most from my hometown! 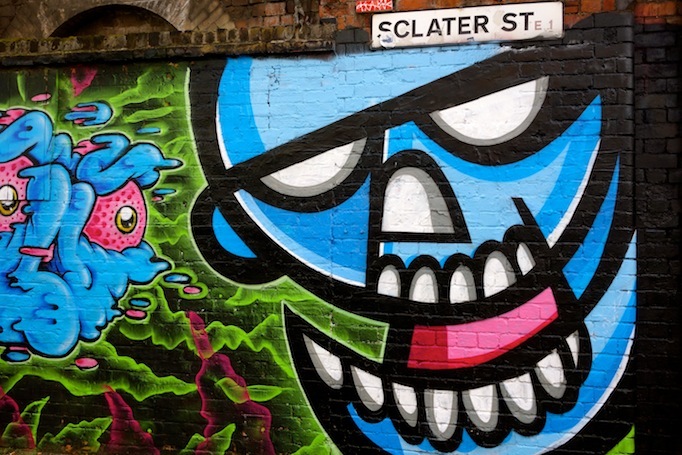 Similarly to Valparaiso, Shoreditch brims with colour from street art and murals that hide around every corner. And lastly, I wanted to finish with my most recent destination. 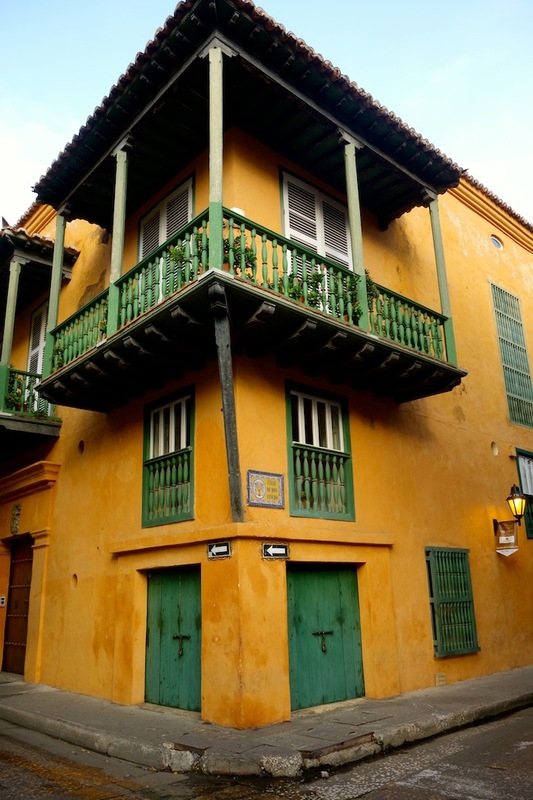 The wonderful city of Cartagena de Indias which lies on the Caribbean coast. We have just returned from our honeymoon there where we spent our days wandering the streets admiring all of the colours. 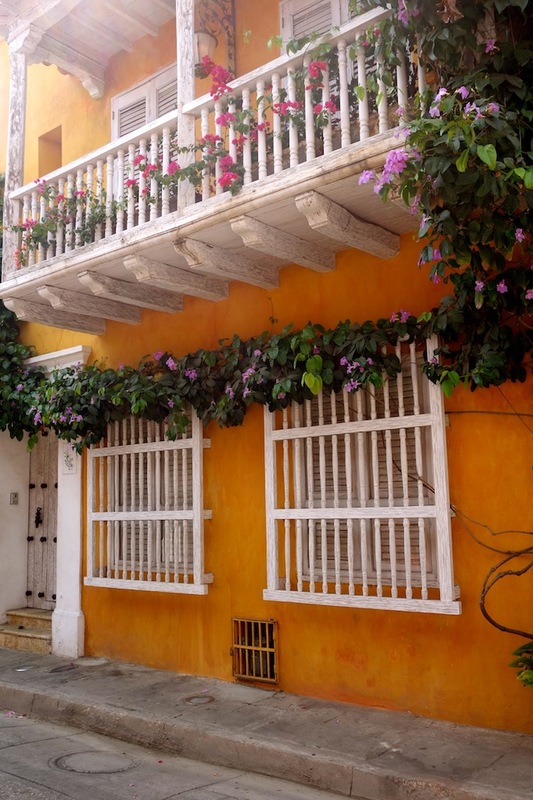 Cartagena is just so special because the houses ooze with colour and charm. Colour really adds to a city and creates the most wonderful atmosphere of vibrancy, charm and cheerfulness. What makes you really love a city? And, which colourful cities have you visited? SO MANY COLOURS! And what gorgeous, bright photos you have of all the places you’ve visited. 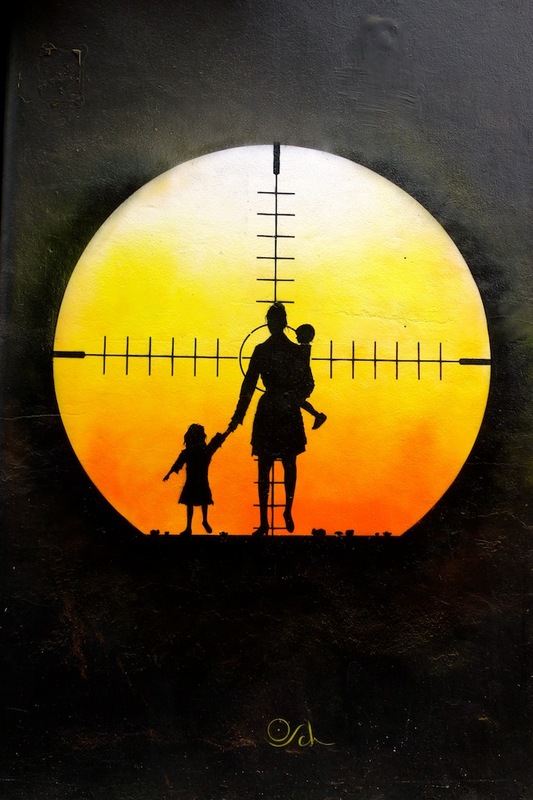 The street art definitely livens a place up doesn’t it? 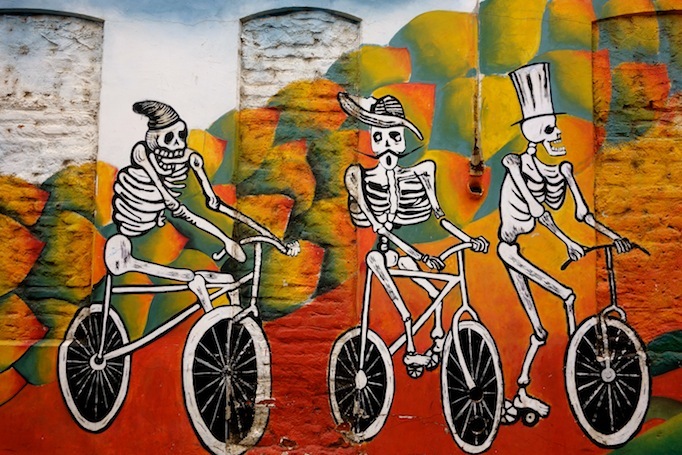 I love the street art in Melbourne and in Newtown, Sydney when I lived in Australia. It added a splash of colour to what would’ve been probably a boring wall! Thank you!! 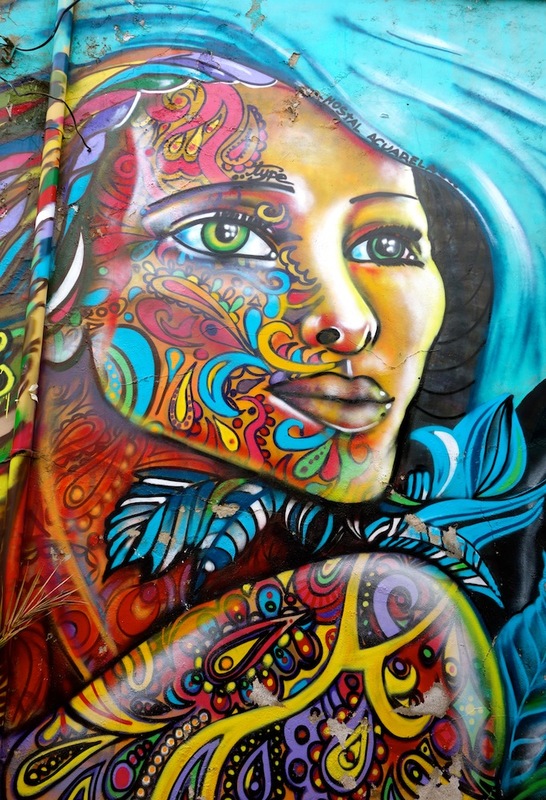 Street art is amazing, I just love to discover it, especially when by surprise! That sounds great, I haven’t been to Australia so it’s great to hear about it 🙂 and I totally know what you mean about art transforming boring walls!! What a lovely post! I think discovering colour in a city makes me fall in love with it more. Thank you Erin! I’m glad you enjoyed the post 🙂 Colour is so wonderful at doing that, it’s the best thing to discover! Such a creative take on this topic! 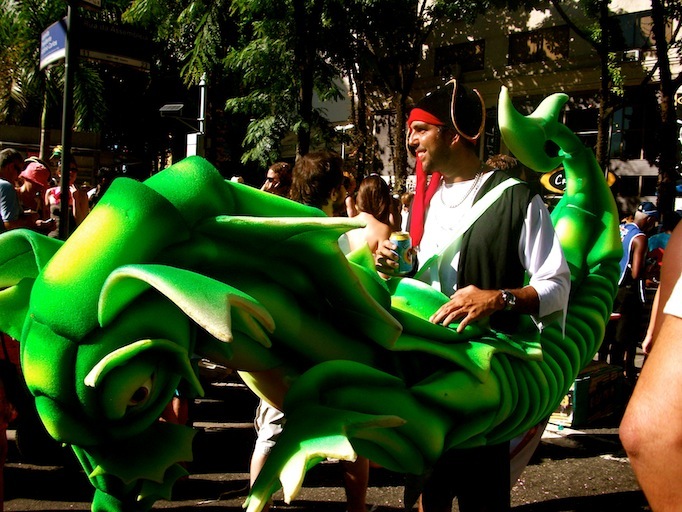 But I totally agree – it’s one of the reasons I want to visit Marrakesh and Barcelona! 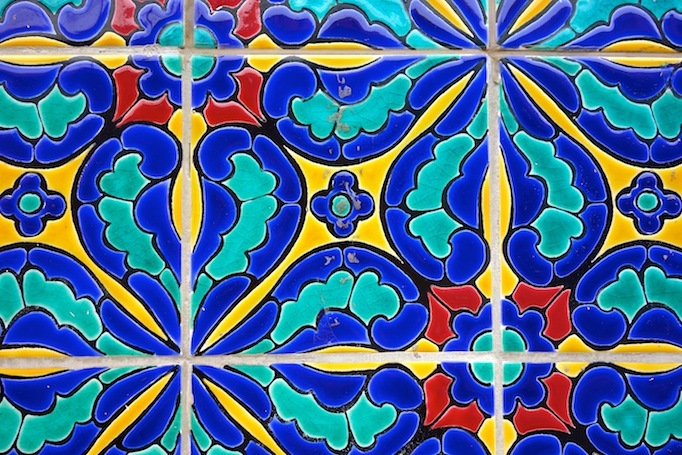 I especially love the colors from your trip to Chile. So incredibly bright and cheerful. I’m usually after beautiful architecture when visiting a city! I find Santorini very colorful (starting from a destination near me). As for other cities I would say that NYC Chinatown is very colorful as is Greenwich village and SoHo (mostly from the stores, flowers etc and not so much the buildings). Ohh, architecture is a good one! 🙂 The fresh colours of Santorini look incredible, it’s definitely somewhere I’d like to visit one day! Wow! That’s really woken up my retinas! 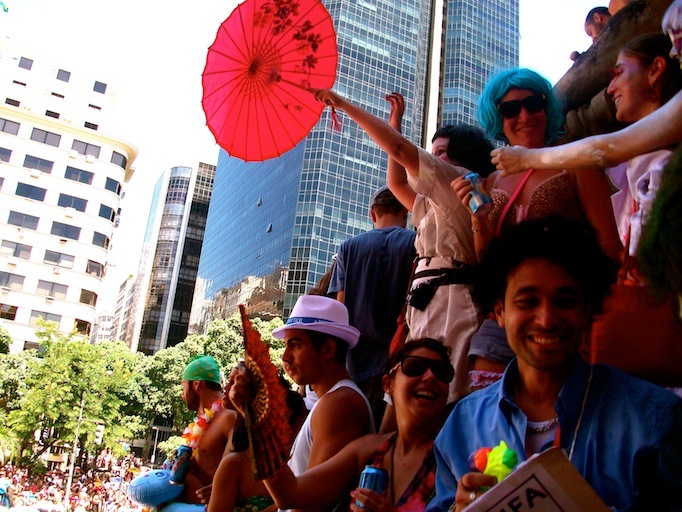 I have to say carnival looks totally insane, but the parade looks like so much fun. 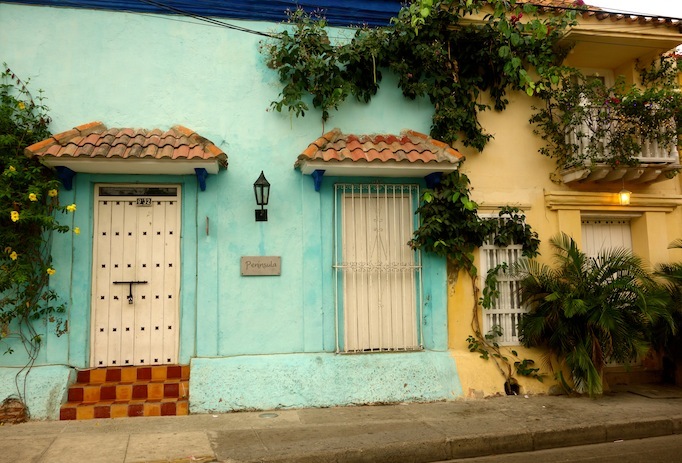 I’d most like to visit Cartagena de Indias, because those houses with all the plants are gorgeous! Wow, what vibrant places. I’d always envisioned India that way, but never stopped to consider Colombia quite the same way. 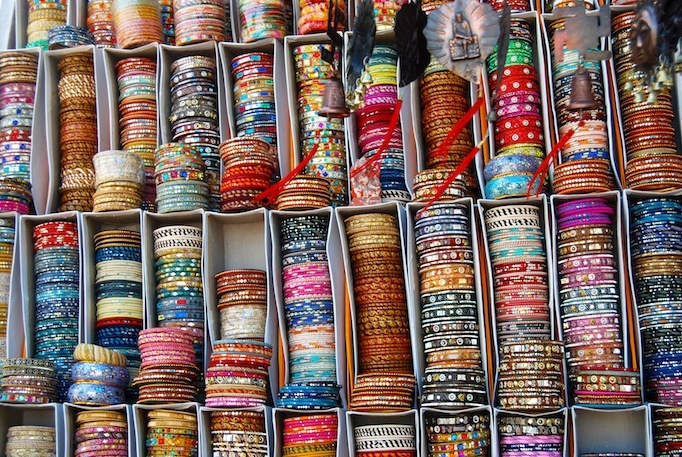 I think India is often associated with colour and vibrancy, which is definitely what I think of it! And I would love love love to see more of Colombia, as I have heard so many great things about lots of other places there! 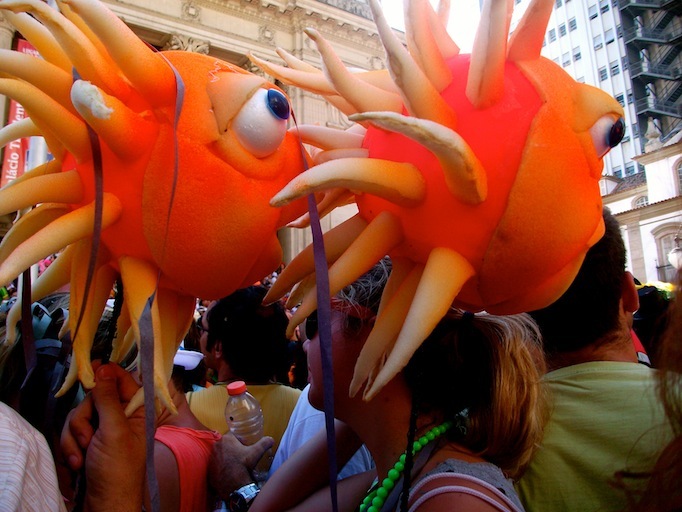 This post, with its vibrant colors, really brightened up a gray winter day in NYC for me! 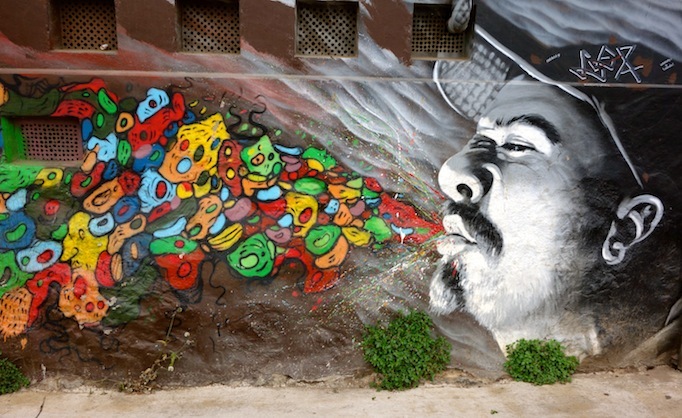 I especially loved your photos of street art! 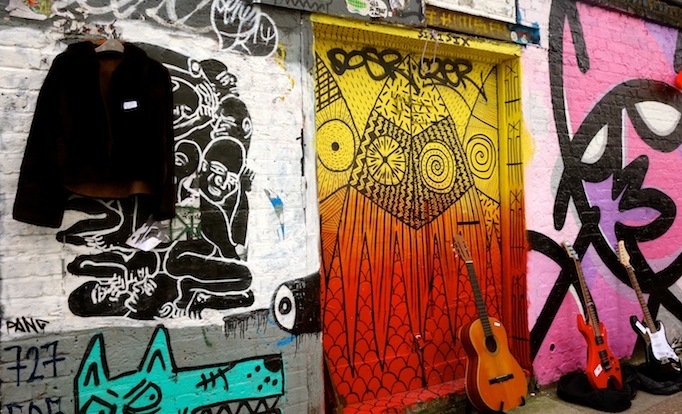 I too adore Shoreditch, and your pictures of Valparíso make me sure I would love that city as well! Thanks you Sara! 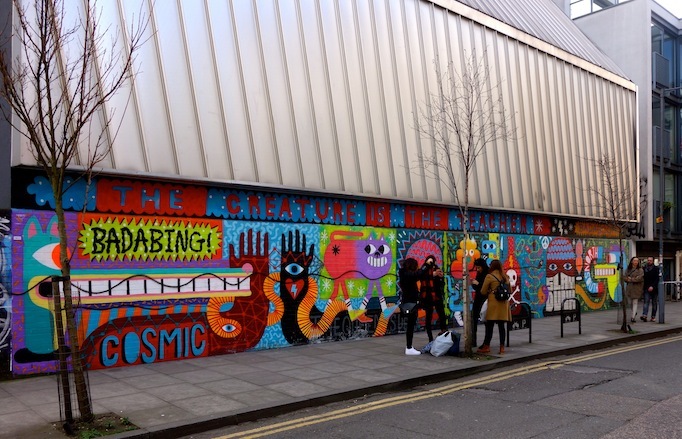 I’m glad that it bought some colour to winter 🙂 I remember our shared love for Shoreditch, it’s such a great place to wander!! Marcella, we are on the same boat. I love colorful cities too. I think one of my main goals is to visit cities with historic, colorful centers. 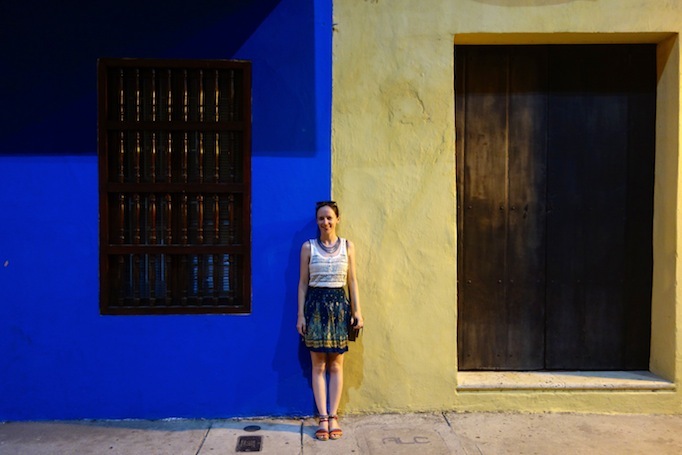 I have been to Puebla, Oaxaca, Panama’s Casco Antiguo, San Juan and other small towns famous because of their saturated hues. 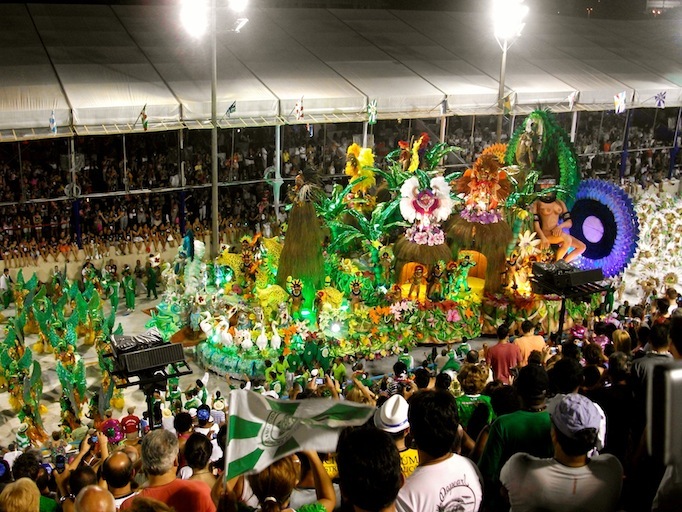 From the cities you present in here, I have being to Rio de Janeiro. I still have a lot of super colorful places to visit! Wow you’ve been to a few similar places to me! 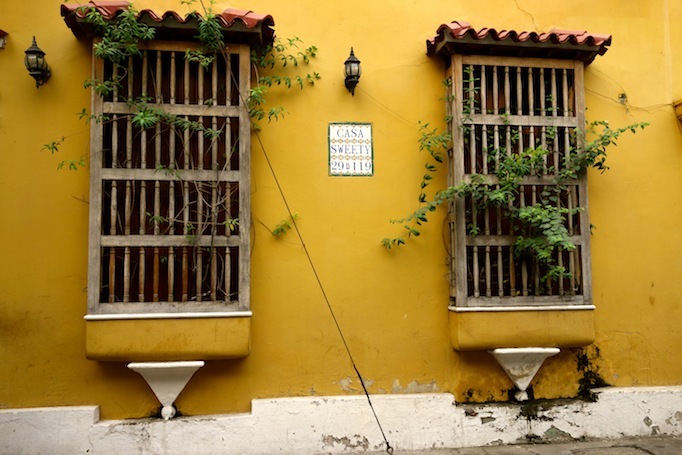 Love the memories of Colombia and Chile that your photos bring back to me! 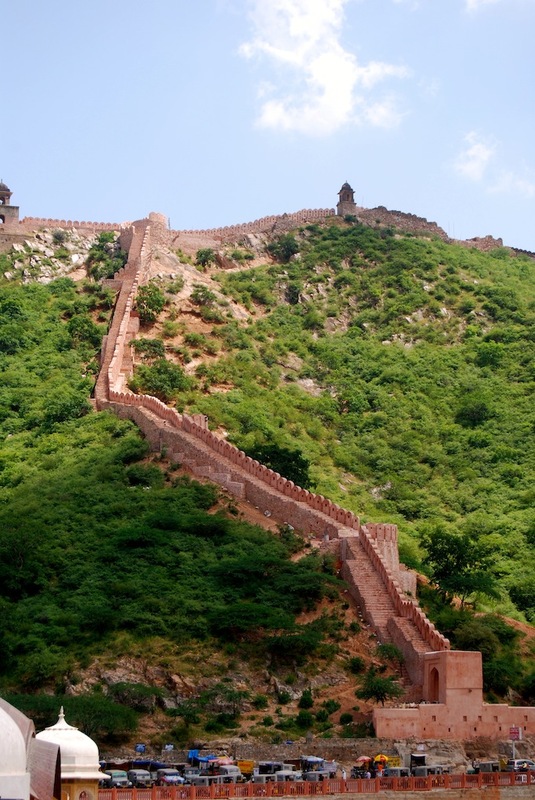 India looks incredible, haven’t quite had the guts to go there yet! 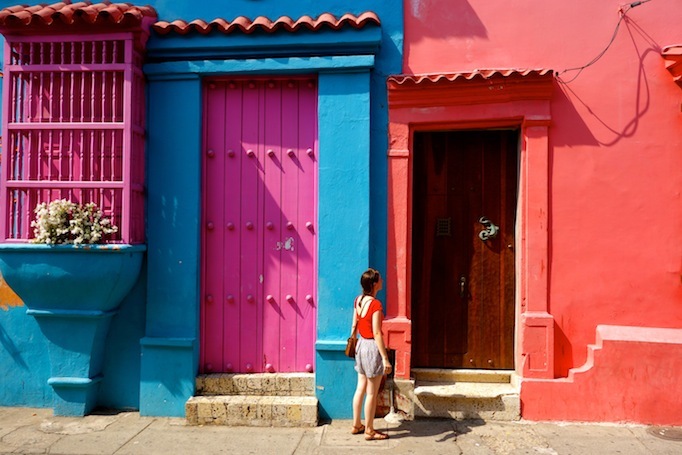 For me I think Argentina was super colourful too, actually even as you pass through each country in Africa and South America I loved noticing the colours and plants/landscapes change. Great topic! 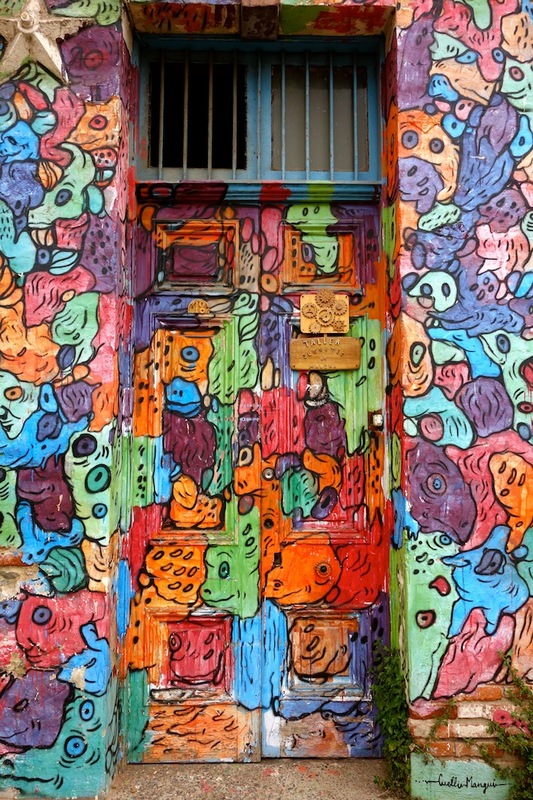 I agree about Argetina, especially la boca and actually lots of areas in Buenos Aires, which is one of my favourite cities!! 🙂 I love noticing colour, it’s so special! So many gorgeous colors! 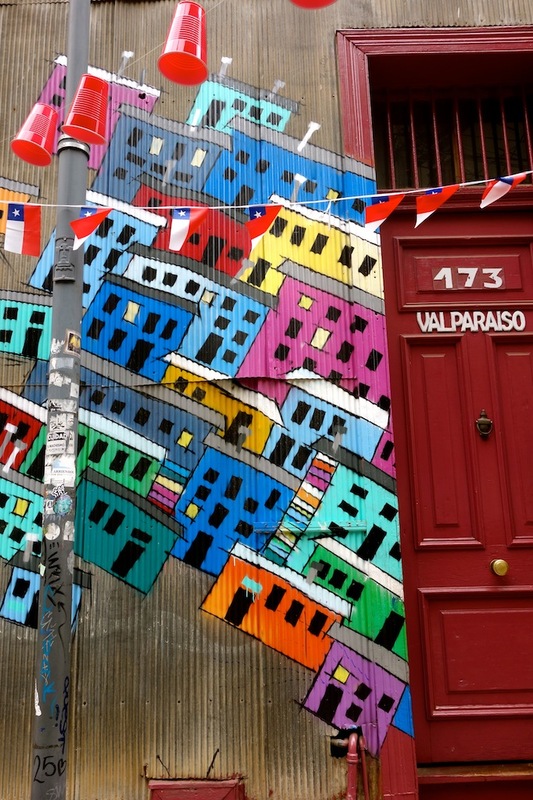 I love colorful houses, they can make me fall instantly for a place:) The street art in Valparaíso is so beautiful! Thanks Kiki! Valparaiso stole my heart, and I’m so lucky to live so close to it!! Thank you!! 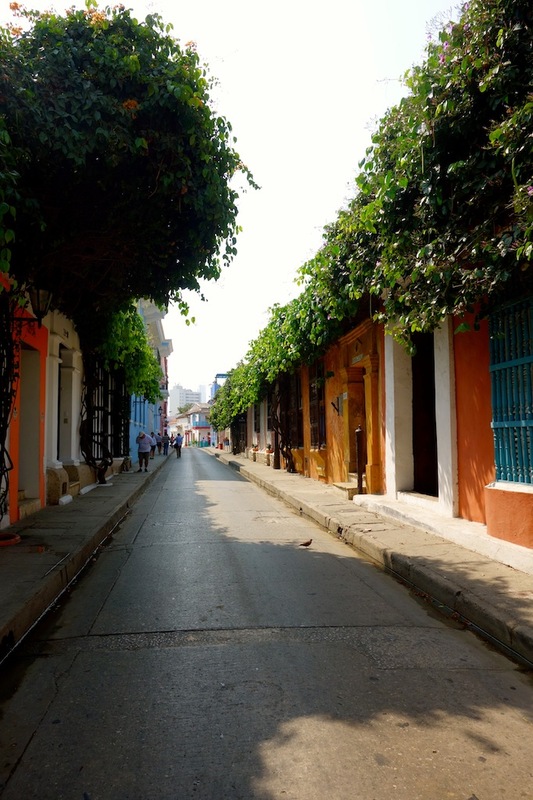 I haven’t heard of Bo Kaap, but I’ll check it out now online 🙂 Cartagena was the most amazing place, I loved it so much! Hi Marcella! I found your blog through the link up! Your colorful photos made me so happy on this gray winter morning I am having here in the US. 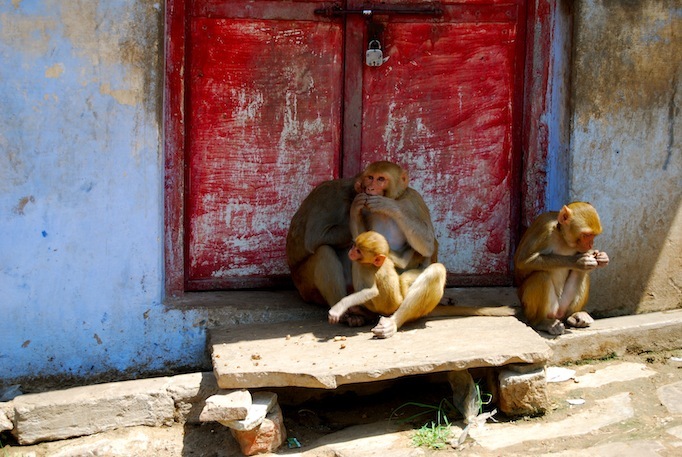 India is on my bucket list, and your photos have my dying to go even more. I lived in Hawaii for two years and what I loved most about it was how green it was all year long .The mountains in every shade of green, combined with the blue/turquoise waters that always seemed to be changing, and the gorgeous sunsets of every single color combined to make Hawaii an ever-changing canvas. I loved it so much. Now that I am living someplace a little more dull, I really appreciate colors and how they tell the story of a place, how they set the tone for the culture. Beautiful post! I ADORE this post – it has proper cheered up my grey London evening! stunning colours, what a wonderfully diverse set of places you’ve visited! This post is amazing!! I’m in love with it and all its pictures. Such a great idea! Thanks so much 🙂 I hope you get to make it both Valpo and Cartagena, they are both such incredible cities!! Gorgeous, gorgeous colours! Love those photos. I agree with you about India. 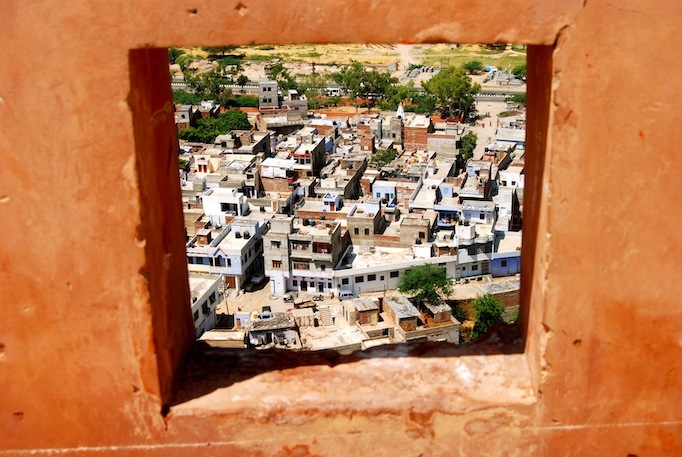 I loved the blue of the houses in Jodhpur too. Thanks so much Clare! 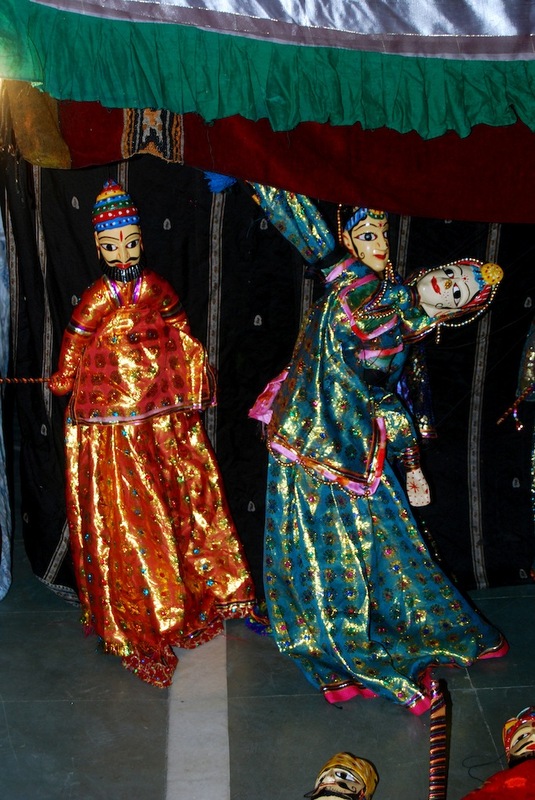 India is full of vibrancy and colour, isn’t it? I still often dream of it! Thanks so much 🙂 The colours in Valpo are just incredible!! Ohhh, I bet! I caught the tail end of the 2010 World Cup there and it was insane, they closed so many streets for parties, so I can’t even imagine how crazy it was when they hosted the event! Amazing photos! 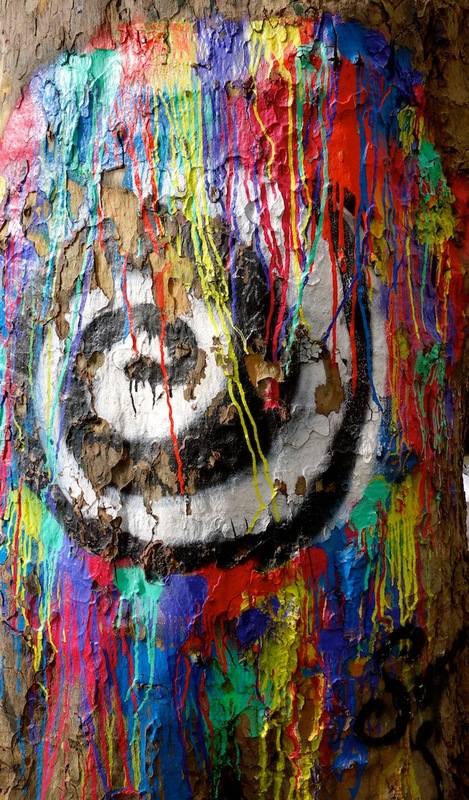 Color really does bring so much happiness, love this post! Thanks Jeannie! 🙂 It is such a happy thing! Ooh, I love the kaleidoscope of colours in your post! So beautiful – colour is one of my favourite things, so it’s great to see a post dedicated to it! Thanks Emily! 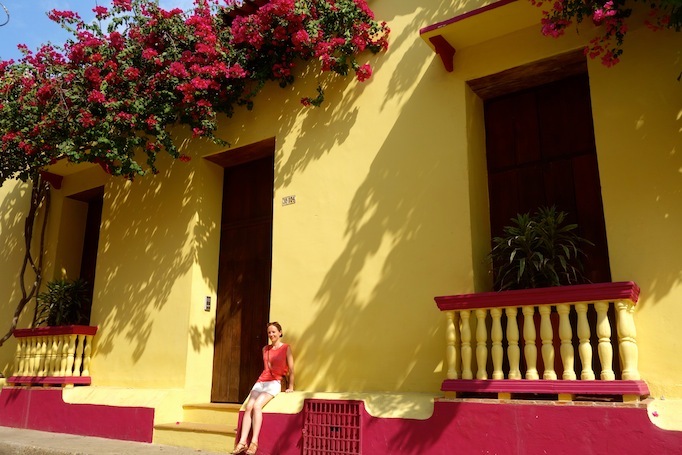 Glad to send out some happy rays via colour 😉 Cartagena was amazing, it beamed with cheerfulness! I’m so happy to know that you enjoyed your time there 😊 btw, love your blog!